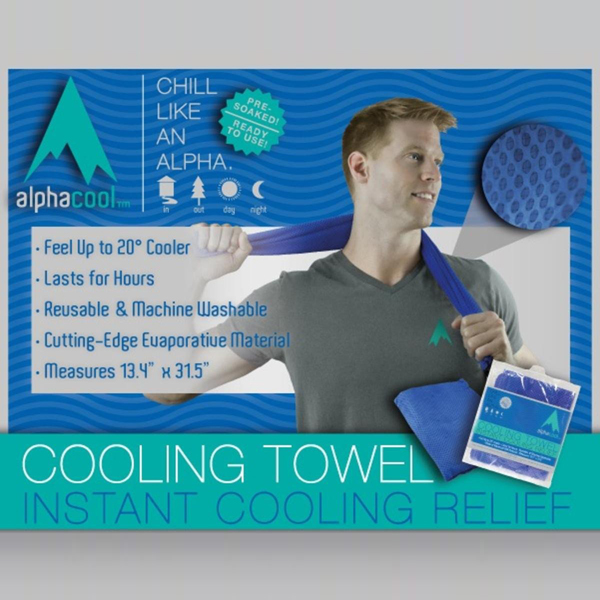 The Alpha Cool Instant Cooling towel is made from advanced PVA material that provides cooling relief on contact. 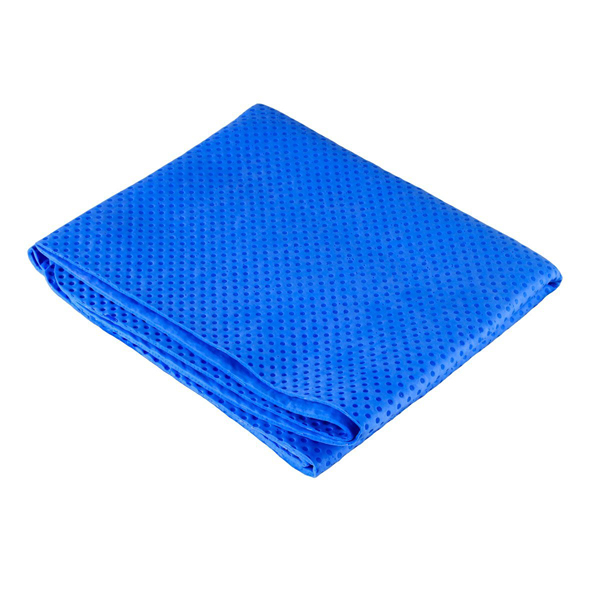 This great cooling towel will help keep you comfortable and safe during outdoor summer activities, working outdoors or at the beach. 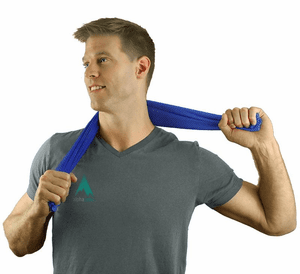 You can even use the Alpha Cool Towel around the house or in the car to provide that extra cooling relief. LIGHTWEIGHT AND LOW-PROFILE: Unlike traditional cooling products that use acrylic polymers, the PVA material eliminates the bulk. NO RESIDUE: Forget the slimy feel that can come with traditional cooling solutions, the PVA material turn into a gooey mess. ACTIVATES QUICKLY & EASILY: Simply soak in water and within minutes you can enjoy coolness for hours. Perfect to have on-hand if a worker displays symptoms of heat stress. 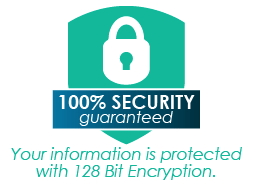 MINIMAL MAINTENANCE: Reusable, simply re-soak and you are good to go! Machine washable for ultimate convenience. IDEAL HEAT STRESS SOLUTION: These products aid in keeping core body temperatures in check, resulting in more comfortable and safe working conditions in high heat environments. Warning: If you have a known allergy to PVA or latex consult a physician before using this or any similar product. If skin irritations occur discontinue use immediately and consult your physician. works well to cool down when the heat gets to me. I sit in the recliner with it on my upper body or drape it over my shoulders and sit in the patio chair. I work at an outside garden center in Florida and the heat is intense. This towel has helped me immensley get through my eight hour shift. I purchased two cooling towels for my husband who is an avid pickle ball player. He uses them everyday that he plays and says they work great. Very happy with the purchase and would order again. The price was more than right and that is why I ordered two. My son works outdoors building high rises in the Los Angeles Area. With the recent weather changes and the humidity he is amazed at how cool he stays on these extremely hot and humid days. A great item to ward off the heat from those summer days when working outside is a necessity. I also use it when I take my dogs for a walk, mowing the pasture and all the other fun things that come with owing a ranch. I purchased this item for my son who is a postal carrier. It works really well in the 90 degree weather we had this summer. Would recommend this product highly. I ordered these towels for my family last summer and we all enjoy being cool the entire summer! I recently purchase this directly from their ONLY store front while on vacation in Philadelphia. I have to say I was skeptical on if this would work but when I got back home to Arizona I became a true believer!!! It is so simple, just wet and it starts cooling off. This is such a God-send for me here in Arizona where the heat index can reach up to 110 degrees. This towel around my neck sends me to a tropical oasis in the middle of this scorching desert. Great People making an even greater product. Keep me Cool guys!!! !